Christmas came early for me this year. 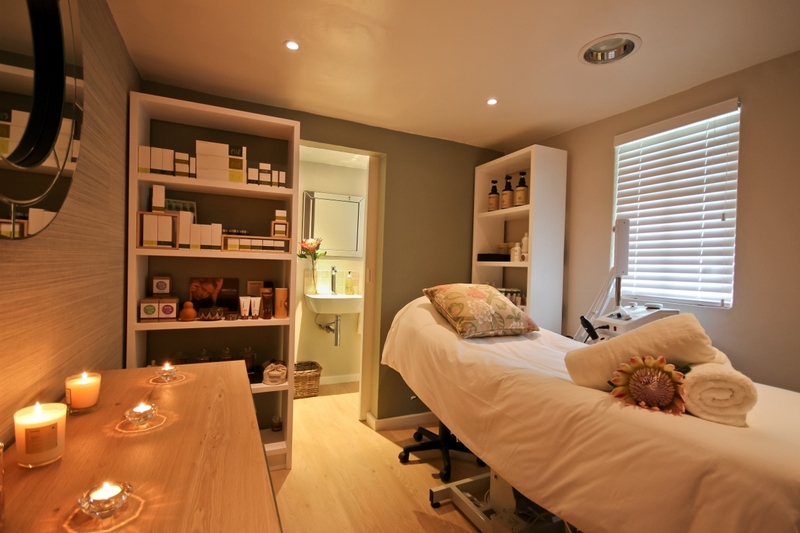 I never knew that right around the corner from where I live (about 5km’s – no jokes) there is a beauty and skincare therapist called Peta who, after being involved in the industry for over 10 years, started asking questions about how she could move towards a more eco-friendly way of treating her clients. Amazing right? Think about it: a professional in the industry, with a heart to treat her clients with honest and natural products – promoting health, contemplating her environmental impact, and supporting local brands – all the while PAMPERING YOU. Now come on. I might need to outsource this blog writing to her because she is on the money. I’m full-on inspired. Peta invited me to her Little Green Box, a bespoke eco-friendly skincare clinic that offers professional treatments using organic products. 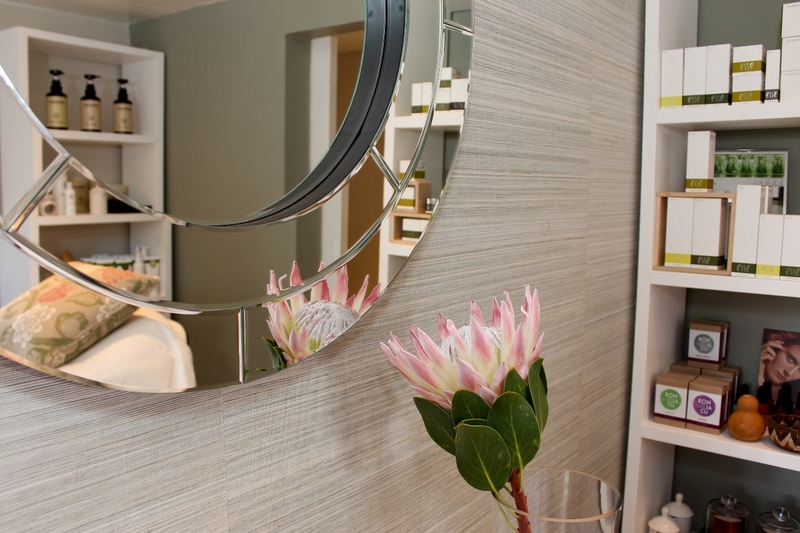 Her salon sits cozily on her property in quiet Constantia Meadows, Cape Town. Not only did she treat me to an Esse Anti-Aging Facial, but I was able to relax, be pampered (and my lucky face and neck were cleansed, exfoliated, loved on and and and for an HOUR), and I was able to chat with her about her story. After working in the salon industry for many years, she came to the realization that the traditional skincare products she was using on her clients every day had many dangerous chemicals in them. She found that this affected both ones skin health and general overall health, and not only was she using these products on her clients but as a therapist she was being exposed to them every day. After the birth of her daughter she decided to launch her own salon, and in doing so she made a huge (and pretty brave) change – she went green. 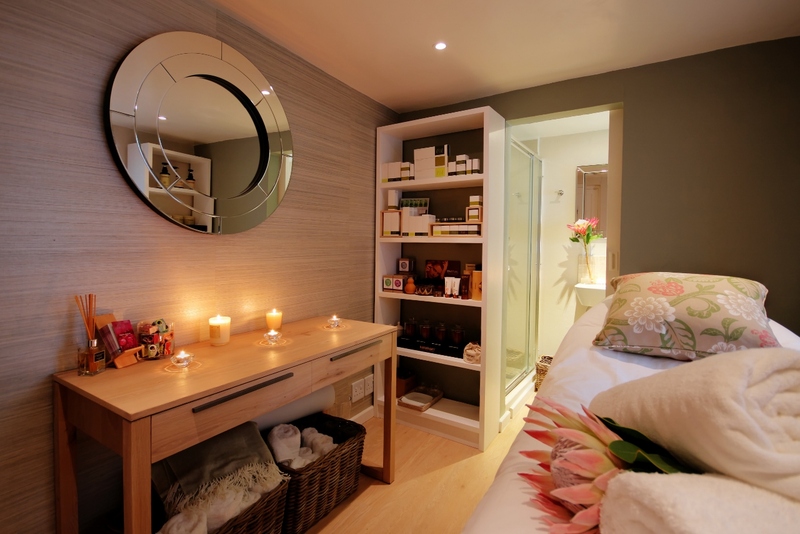 The Little Green Box – Eco Skincare uses LED lighting, flow restrictions on the basin and shower, dual flush toilets and even eco-friendly laminate flooring. She installed a solar geyser and tries to keep as much plastic out of the clinic as possible. All of the packaging of the products that she stocks is recyclable(!). Her and her husband have a well-point for their garden to offset the water that she uses in the clinic, and she takes great pride in being eco-friendly by supporting South African brands like Esse (a brand for which she is the Western Cape Trainer). The wax she uses is also eco-friendly and contains no petrochemicals, parabens, synthetic fragrances or animal by-products and is cruelty free. “I love knowing that the products that I am using on my clients are amazing, clean, green, results-driven-products that really work. I believe in ethical and sustainable skincare as well as having a holistic approach to skincare and ageing”. Are you as completely flawed with inspiration as I am? Her salon is beautiful, fresh and inviting. I’m a green-ish person (hence the blog name). I love playing around with making things, going homemade, growing food, rethinking how we do things and supporting local, but this is another level. Peta has dedicated her day-to-day work (read: livelihood) and has courageously committed herself (and her earning potential) to this cause. I’ll also tell you what she’s not: she is not a green-freak who will look down on you if you don’t encapsulate your own placenta, or water your garden any other time besides between the hours of 2am-4am (exaggeration added). She is remarkably down to earth for someone who has taken such a bold move. She is warm and open, easy to talk to and really approachable. Her clients are a mix between those who moved along with her (and have embraced and found real benefit from the eco-style) and those who are thinking about what she is doing and appreciate her eco-efforts. Peta is a huge fan of Esse. I’ve recently come to know this brand quite well and hearing Peta talk about it made me that much more excited. Peta, being a trainer for the product, knows what shes talking about, and you know your face is in good hands (ha ha – get it?). Prior to the facial, she took some gizmo and checked the hydration levels on different parts of my face. After thinking my skin was quite dry, she reassured me that my levels weren’t too bad (especially around my eyes). About 5 minutes later the penny dropped (I was obliviously way too relaxed) and remembered I had been using Esse’s Eye Contour Cream around my eyes. I kid you not. Even I was amazed. She started with the Esse Triple Cleanse which included Eye-make up Remover R170 (100ml), Cream Cleanser R300 (200ml), Gel Cleanser R280 (200ml). After the cleanse, she did a gentle exfoliation with the Enzyme Exfoliator for 10 mins under steam for a brighter, clearer complexion and to remove dead skin cells. I then sunk deep into the bed as she continued with a facial massage with the Facial Massage Cream. She then massaged my feet (I LOVE foot massages) for 15 mins while the Eye Mask and Omega Mask did their thing. The Omega Mask is an intensive treatment mask formulated to feed the skin as well as sooth, relax and calm. And calm I was. Peta also offered to tame my eyebrows with some threading. I was really appreciative of the offer (plucking is such a shlep) but initially hesitant as my previous experience with threading had not been all that great. I used to pop down to 4th Ave in Vancouver and some tiny little lady would have a good go at my eyebrows and exactly 17 seconds later, I’d be $9 poorer with blood spots framing my newly shaped brows. She gently encouraged me and I obliged – and I’m SO glad I did. For the first time I had no blood spots and very little redness. I’ll be back. For sure. My hydration levels were checked again after the facial and it was obvious to tell that Peta and Esse make a winning combination. My levels were optimal and my skin felt incredible. Full stop. 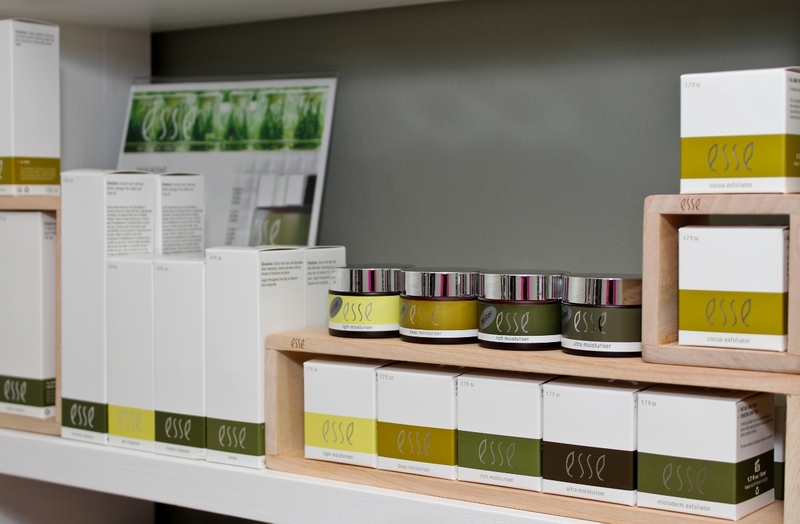 You can purchase any of the Esse products above from The Little Green Box. Chat to Peta about what she thinks will be best for you skin – she’s a wealth of info! Check out the full The Little Green Box Pricelist and don’t forget that Gift Vouchers and Spa Packages are also available. With Christmas coming up – this is a great Christmas present idea. You can follow them on Facebook and Twitter for updates and more info.